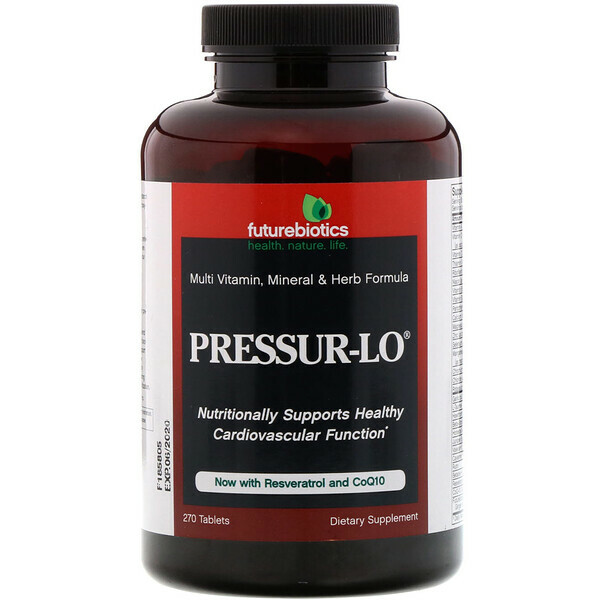 Pressur-Lo is a comprehensive formula that provides nutrients and other key factors to nutritionally support healthy cardiovascular function. It includes Resveratrol, which research suggests may support cardiovascular health, plus CoQ10, which plays an essential role in keeping all body systems running smoothly. It is also potency enhanced with Futurebiotics exclusive BioAccelerators, including Lactospore probiotics, for improved nutrient absorption and utilization. As a dietary supplement for adults, take 6 tablets daily, preferably with meals or as directed by a healthcare professional. 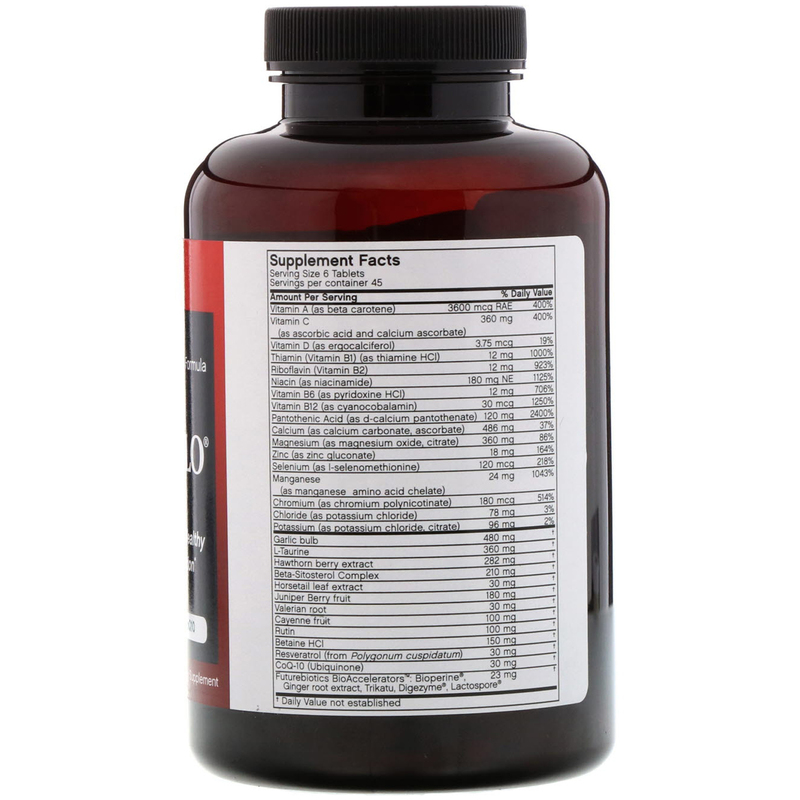 Contains no added yeast, sugar, salt, wheat, dairy, artificial colors or preservatives. If you are currently taking a diuretic or other medication, seek the advice of your healthcare professional before taking this product.